Halloween is right around the corner and Princess Posey is super excited to have a party with her first grade classmates and go trick-or-treating. But sometimes Halloween tricks are scary. 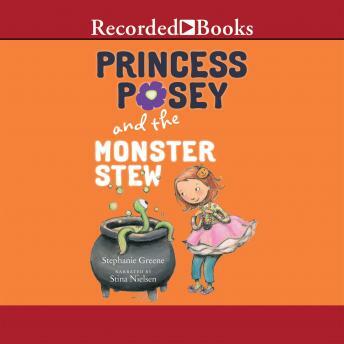 When Posey's teacher announces that they're going to have monster stew at their party, she's more than a little nervous. But in true Princess Posey fashion, she dons her sparkly tutu and realizes that being a little scared with friends can be much fun!